VroomVroomVroom makes sure your car rental booking is easy. We compare car rentals around New Zealand from top suppliers such as Hertz, Thrifty, Europcar, Avis and Budget. 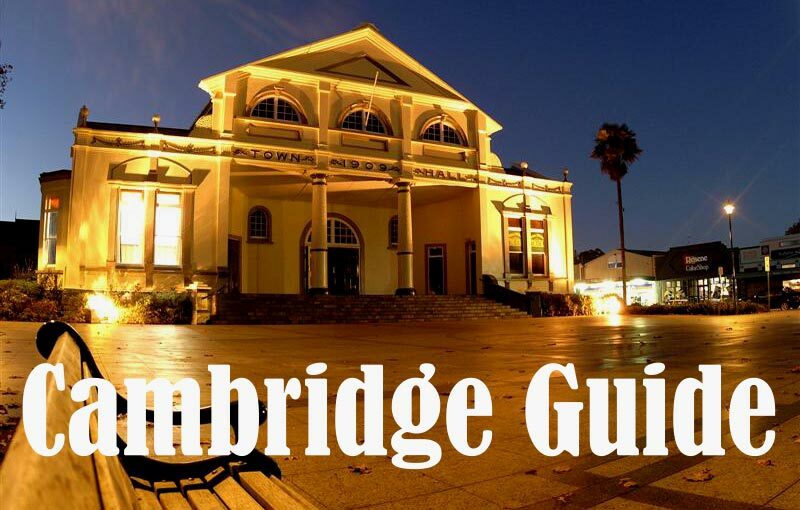 Cambridge is centrally located in the North Island, with easy access to the city of Hamilton, the Hobbiton movie set in Matamata, and the glow-worm caves of Waitomo. Why rent a car with VroomVroomVroom in New Zealand? A rental car is the best way to explore New Zealand: Use any of our nearby depots, and you'll be able to access the boutique village centre of Cambridge, with its majestic main-street oak trees, access to premium thoroughbred horse studs, and proximity to Lake Karapiro. Great rates: VroomVroomVroom offers the best price for hire cars supplied by the most trusted car rental brands in the industry. Wide selection of cars: Our partners Avis, Thrifty, Hertz, Budget, Eurpocar and Enterprise offer all types of cars. If you need an economical compact for just you and your bestie, or transport for the whole fam, we can get you sorted. Travel at your own pace: By booking a car rental in Cambridge, you can come and go with total freedom, without having to work in with public transport schedules. Excellent service: With lots of hire cars to choose from, with superb customer care experts ready to assist, you will definitely have a hassle-free booking experience! Experience a river tour like no other. It's a 35-minute journey to the base of Karapiro dam and back, three sets of rapids, and two waterfalls. Its adventure that's fun filled with speed and spectacular scenery! Perfect for family and friends. Just make sure you rent a car with VroomVroomVroom so you can get here and enjoy the many other activities available. Lake Karapiro and the adjoining Mighty River Domain are the venue for New Zealand's leading high performance canoe and rowing events. Take a nice, easy, memorable walk along the blue, natural spring waters located near Leslie Road in the nearby town of Putaruru. The crystal clear waters show the fishes and river grass. You will definitely need your car rental to witness this natural gem. 30mins south of Cambridge follow SH1 for approx 40kms, veer left on Whites Rd SH28 & you'll come to the downstream entrance. The Blue Spring exit is approx 3.6km along Leslie Rd. 8km's/ 14-minute drive north-east of Cambridge is a cliff-like reserve location that gives you the most spectacular views overlooking the whole of Cambridge. A 20-minute bush walk offers sights of the wood pigeon and vibrant flora.